Riverside Heating & Air Conditioning LLC is proud to serve the Columbia community!  About Columbia, SC - Happy to be your hometown Heating & Air Conditioning Contractor! The city of Columbia belongs to the state of South Carolina and is located in the both Richland and Lexington Counties. Columbia is the seat of Richland County and serves as an administrative center that looks over official affairs. The city lies on a total area of 134.9 square miles of which 2.7 square miles is water. Its name originates from that of Christopher Columbus and now has a population of around 129,272 people. The city has much to offer to its dear visitors in terms of recreational facilities. Finlay Park tops the list as the most popular one in the area and holds vast experience in hosting various events such as political events, rallies, and festivals. If you’re a nature-lover then the Riverbanks Zoo and Garden is the perfect place to visit. The huge gardens are a sanctuary for many animals that live comfortably in exhibits that mimic features of their natural habitat. This is due to the presence of the Saluda River. The spacious botanical garden is home to many plant species and historical ruins. All these highlights are what established the park’s position as one of the best zoos in the country. If you’re a sports fanatic then you already know that Columbia is home to the Williams-Brice Stadium that belongs to the Gamecocks Football team of USC. The gigantic stadium ranks 24th largest among others in the country. The city also holds various other sports venues such as Founders Park and Charlie W. Johnson Stadium. Aside from the various cultural venues, the Sesquicentennial State Park is one to be on the list of places that you must definitely visit. The park covers over 1000 acres and features various trails and sites to host picnics. It attracts many people since it is often chosen as the place to hold events such as family reunions and camping trips.